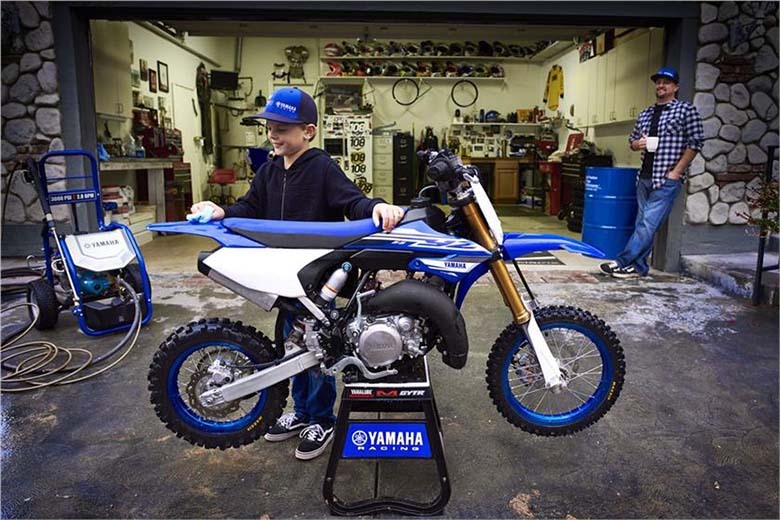 The Yamaha brand is a well-known brand in the world of Motocross dirt bikes. 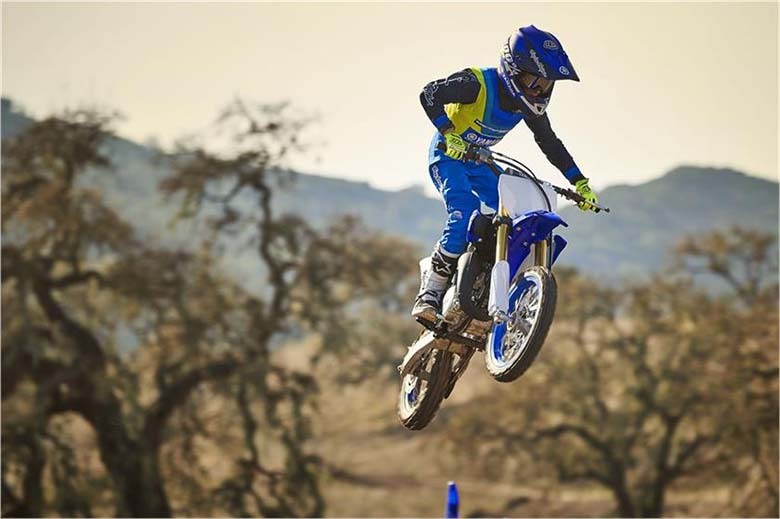 The new YZ65 2018 Yamaha Motocross is among the latest models of Yamaha, which was designed for winning performance and unrivaled agility to lead the next generation of riders. 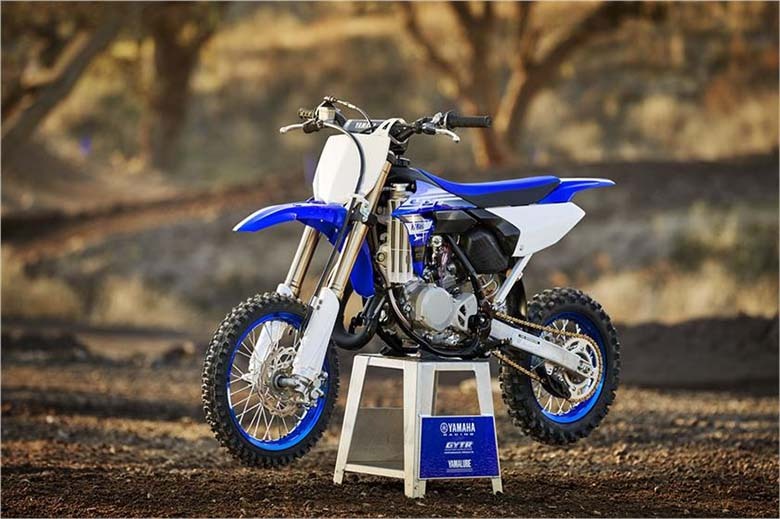 The overall review of new YZ65 2018 Yamaha Motocross with its price and specifications are given below. 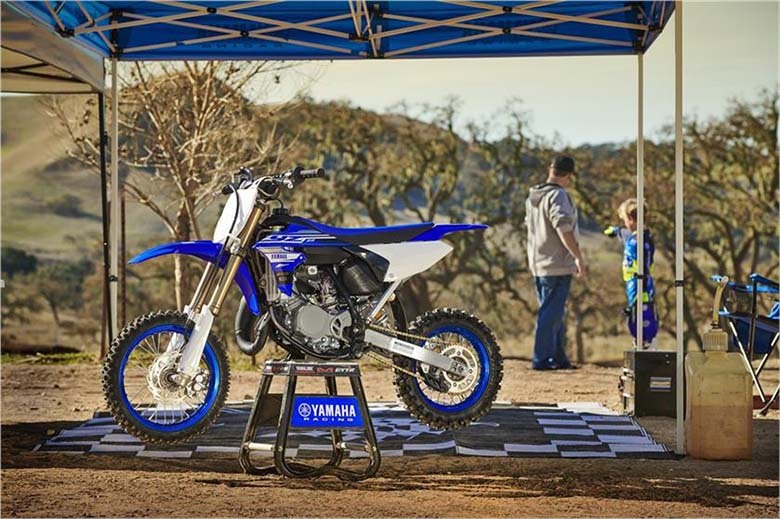 The new YZ65 2018 Yamaha Motocross comes with the 65 cc two-stroke powerplant, which contains the same technology as used in the Yamaha YZ125 and Yamaha YZ250 Motocrossers. An all-new reed-valve induction improves acceleration and throttle response across the entire powerband with an optimally tuned Keihin PWK28 carburetor and meter fuel flow. The patented YPVS combines the crisp bottom-end torque with strong midrange and free-revving top-end. It makes the engine compact and chassis lighter is weight. All-New six-speed gear ratios with the close-ratio transmission ensure to provide superb performance by giving riders the right gear for every race condition. The latest Digital CDI system features precise spark and monitors engine speed to ensure optimal timing for the excellent response. The compact radiator contains an optimized hose routing that delivers the maximum cooling efficiency even in the most stringent racing conditions. 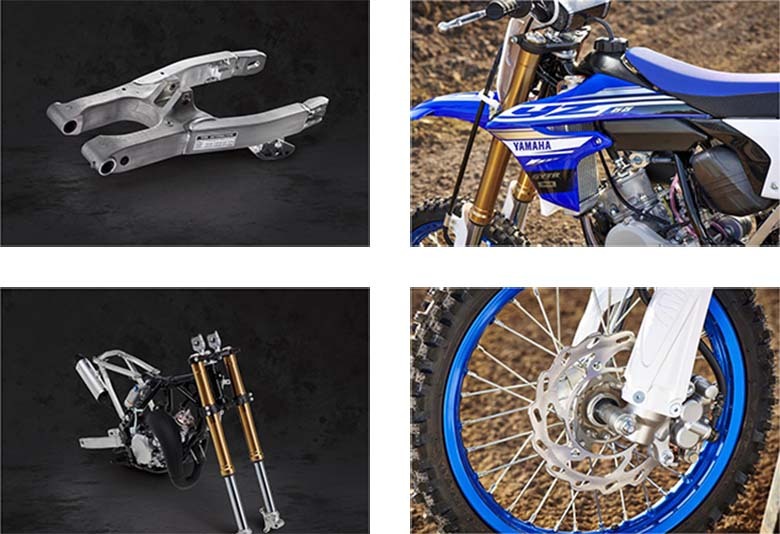 The new YZ65 2018 Yamaha Motocross features the lightweight chassis giving outstanding handling experience. The chassis features the steel cradle frame which is designed superbly to have an outstanding rigidity and balance throughout the ride. This frame can provide an excellent grip across the bumpy track surfaces. This motocross has the support of removable aluminum rear subframe, and it is constructed of square-section tubing for reduced weight and convenient maintenance. 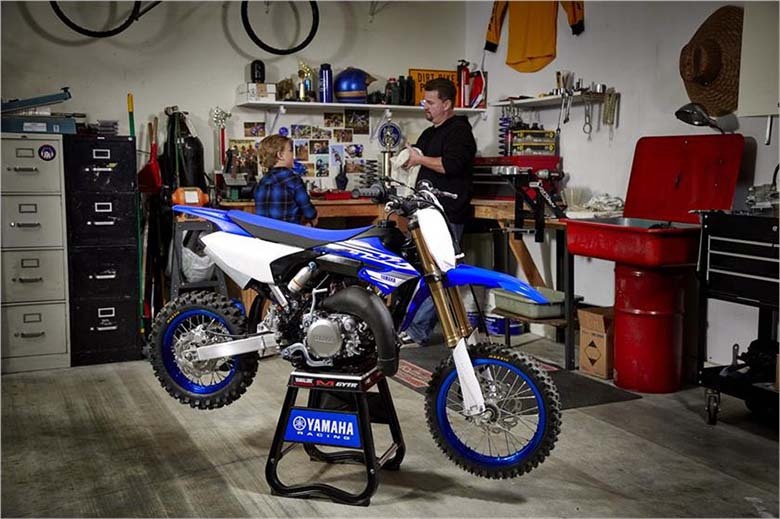 An up-front 36 mm KYB coil spring fork gives unmatched compliance with a setting based on Yamaha’s extensive testing experience. There is the new link-less shock design, which is light and compact that suits the needs of YZ65 2018 Yamaha Motocross riders. The motocross features the new swingarm that highlights the chain adjusters. Both suspension systems are tunable for both rebound and compression damping. The braking system features the new wave-style brake rotors, which are lighter than the conventional rotors and have the full-size YZ family style. The tires feature the good grip across the variety of terrains, and it contains 60/100-14 on front and 80/100-12 on the rear tire. The new YZ65 2018 Yamaha Motocross is available from April 2018 with the price of $4,599 only in Team Yamaha Blue color option. This article provides the full review of new YZ65 2018 Yamaha Motocross, and it is covered under www.bikescatalog.com. This dirt bike features a powerful and high performing engine. The chassis is kept the light in weight that helps in achieving the best handling experience. The latest braking and suspension system gives the best performance under all conditions.